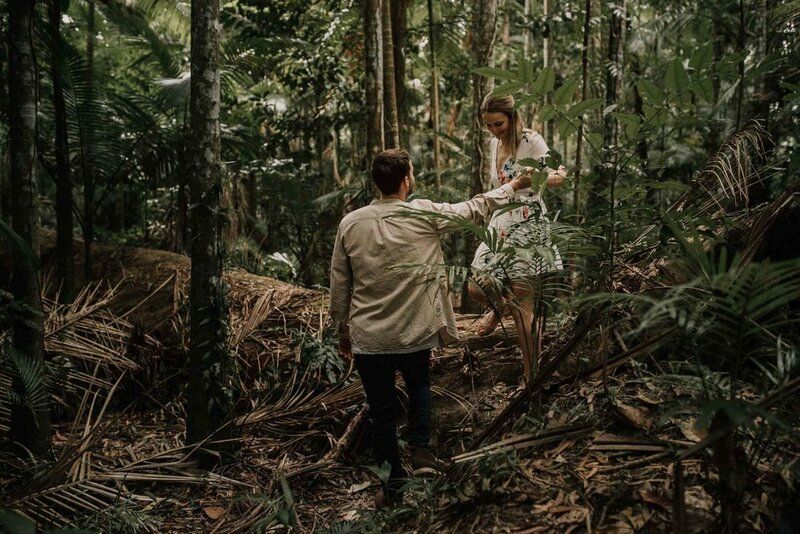 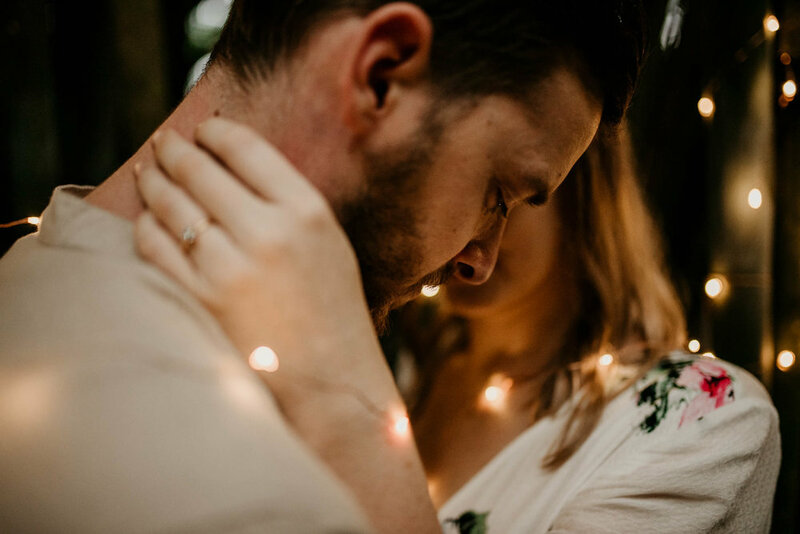 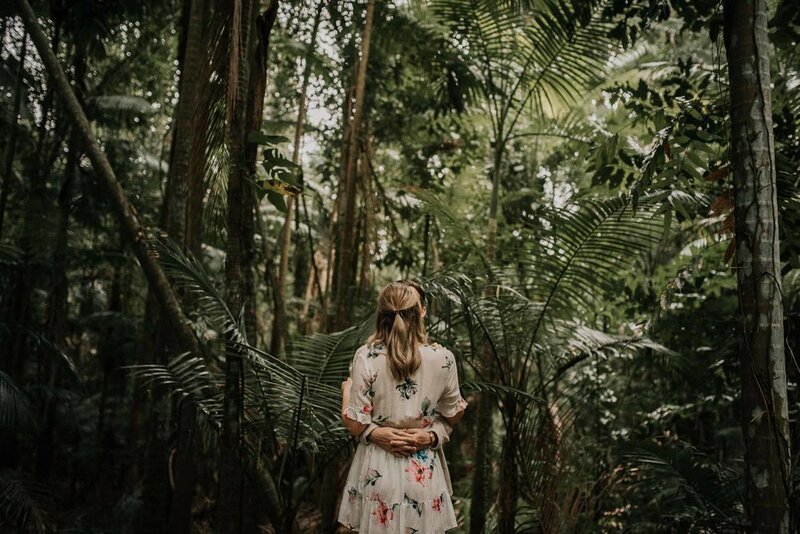 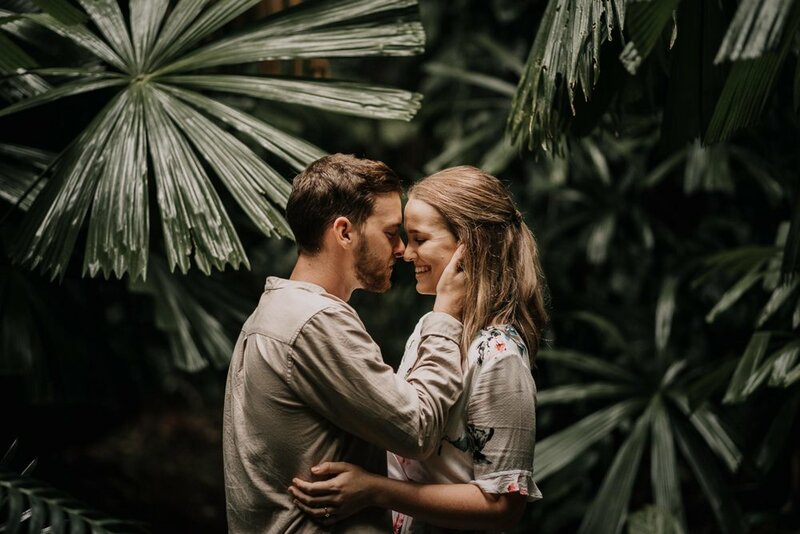 A garden with ferns, bamboo forests, fairy lights and a loved up couple... Must be another Raw Engagement Shoot! 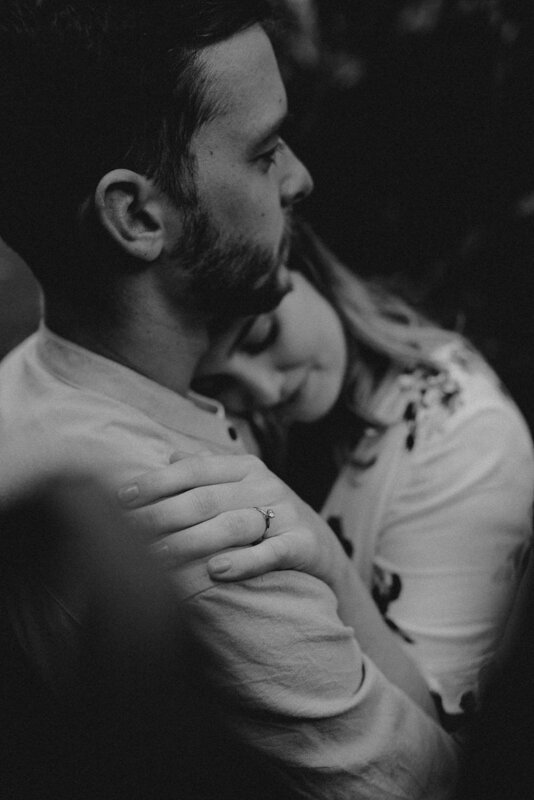 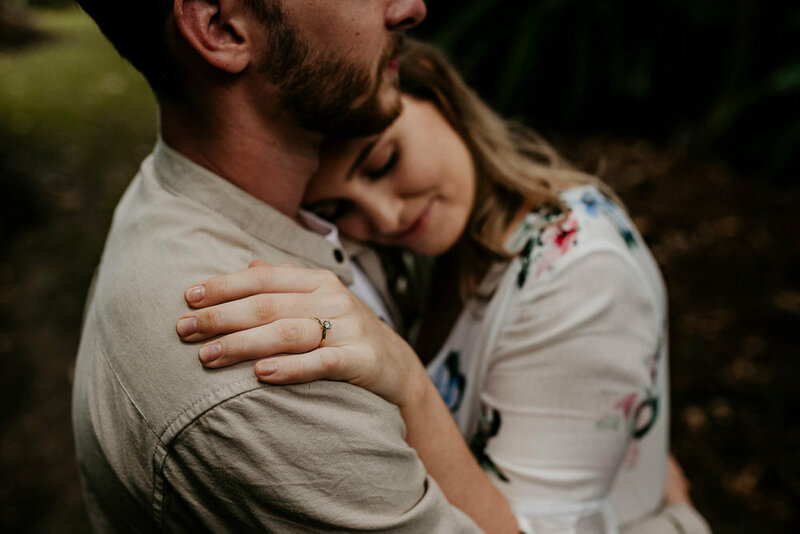 When I announced I was about to become a full time wedding photographer a free engagement shoot was on offer! 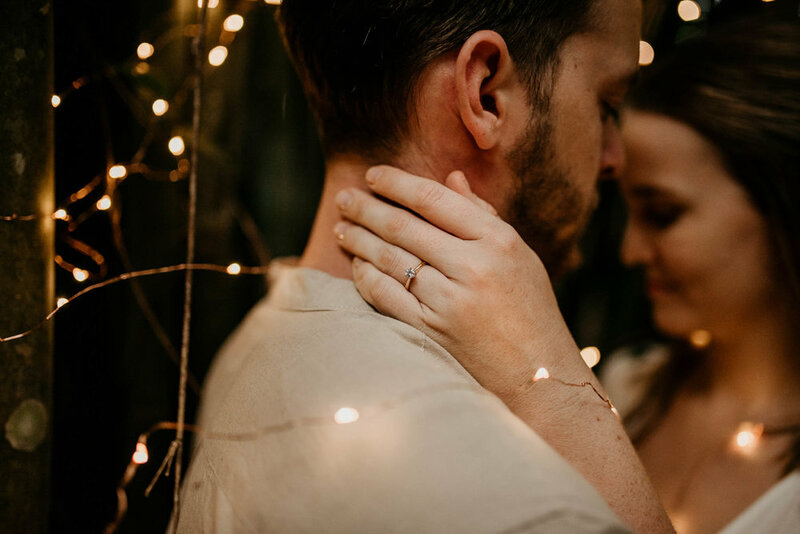 These two shared their proposal story online and their names were picked out of a lucky hat. 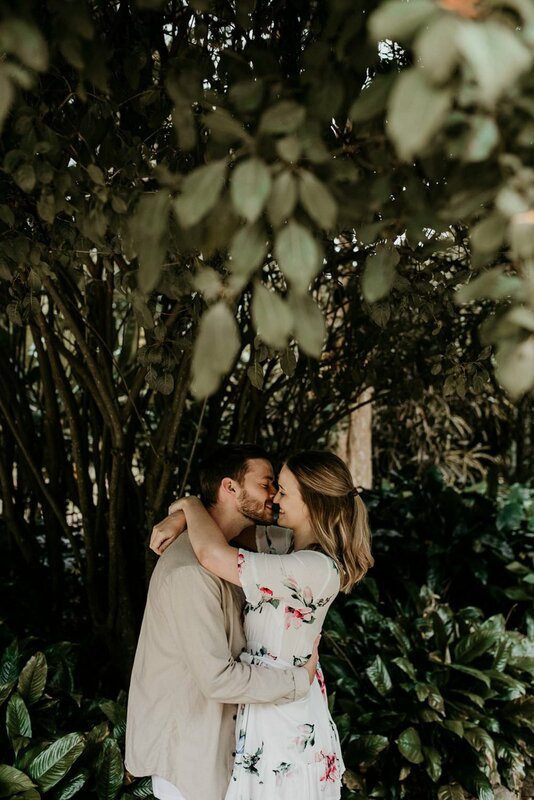 Excitement followed as I messaged Breanna and congratulated her. 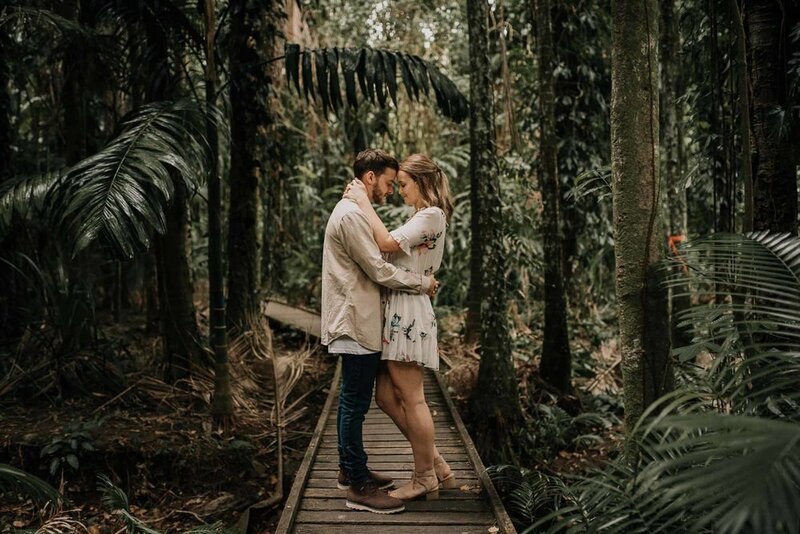 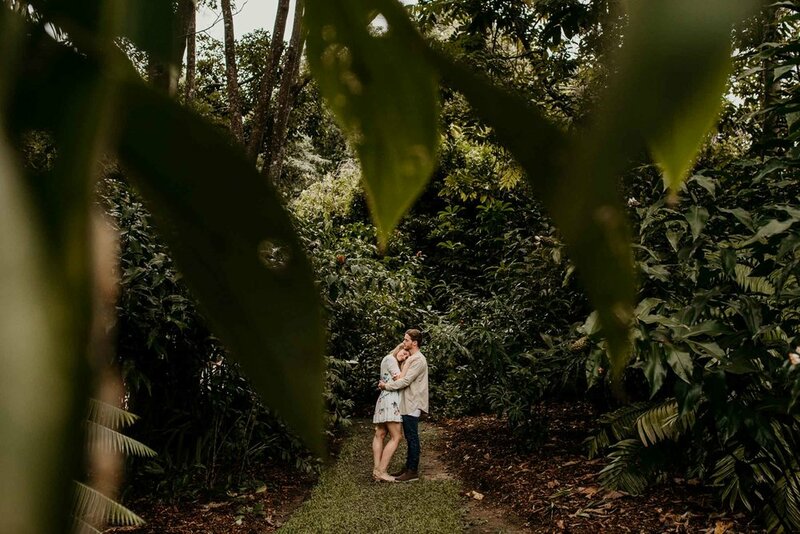 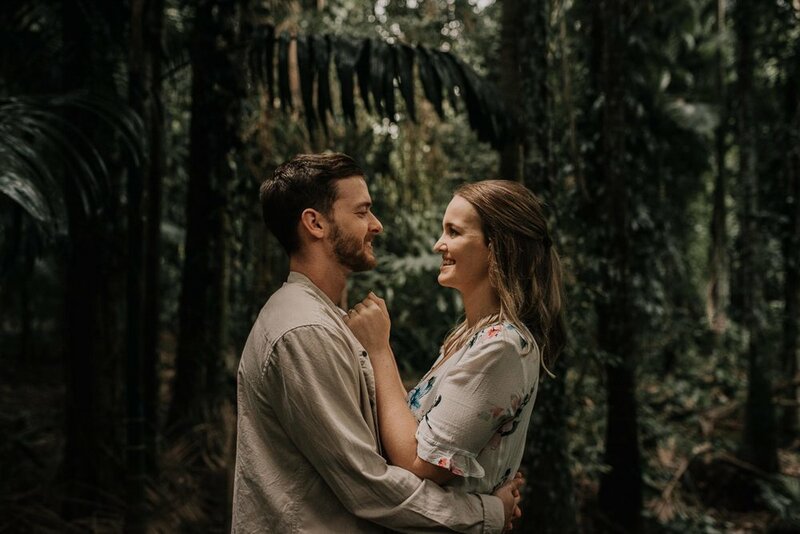 Soon Breanna + Daniel were walking around the Cairns Botanical Gardens listening to my amazing Spotify Playlist and I shared a few tips on how to smash their wedding day Portrait Session.